Bunion Corrector: Do They Work? If you’re considering investing in a bunion corrector, it’s important to know what you’re getting. Having bunions can be very uncomfortable and finding ways to rid yourself of bunions is ideal. While bunion correctors will not completely get rid of your bunions, they will certainly ease the pain. Another name for bunion correctors is bunion splints. They are designed to be worn at night-time while you’re sleeping. They are said to push the big toe back into normal alignment over time. This claim has met opposition from some experts who say that correctors cannot replace the use of surgery for treatment. Rather than thinking of bunion correctors as the final solution for getting rid of bunions, they should be considered a long-term management plan. While there is no sure way to know whether using bunion correctors will reverse your bunions, they will likely halt their growth. If you document your use of bunion correctors with photos, you will be able to see a change over time. You will probably notice that your bunions have stopped growing and maybe you will even see that they have straightened out a bit. Price: when it comes to investing in a bunion corrector, you want to get high-quality at a price that won’t break the bank. Don’t fall into the trap of believing that you need to pay a lot of money for a corrector that will work. There are plenty of budget-friendly options on the market. The trick is finding a price and quality match. Comfort: the comfort of your bunion corrector is vital. This is a healing tool you’ll be wearing while you sleep, so you want it to be as comfortable as possible. The comfort of an orthopedic bunion corrector depends on the material it’s made of and how it fits. Adjustability: everyone has different feet. That’s why it is critical to find and invest in a bunion corrector that allows for adjustability. Not to mention that from night to night, you may experience different sensations in your feet that make you want to adjust the fit of the corrector. The ViveSole Bunion Corrector Kit is a great option that comes with everything you need. 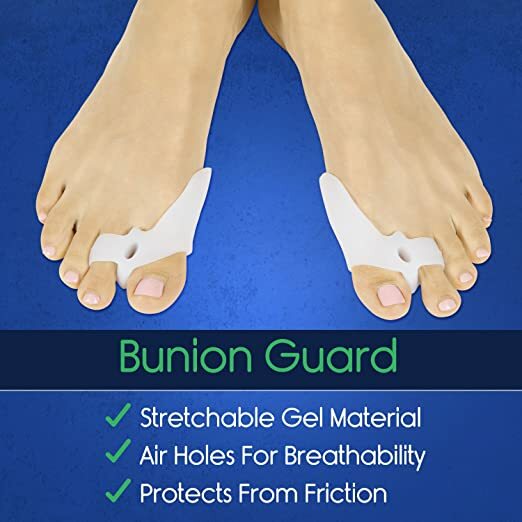 The kit includes bunion guards, soft gel protectors, spacers, and even a gel sleeve to keep feet comfortable. The gear is meant to fit most feet and can be worn with or without socks. The equipment is made with latex-free gel which is safe for most skin and is easily washable. When it comes to comparing the ViveSole to other similar products, it fares very well. This kit has an extremely good price when you consider everything you receive. Comfort is the number one goal of ViveSole which is why they build the equipment to be soft yet flexible. Rather than using standard adjustment gears, the ViveSole Bunion Corrector can stretch to fit your specific foot with its flexible fabric. The Bunion Corrector by SJNDY is designed by orthopedic surgeons and the podiatrists commonly recommend it. 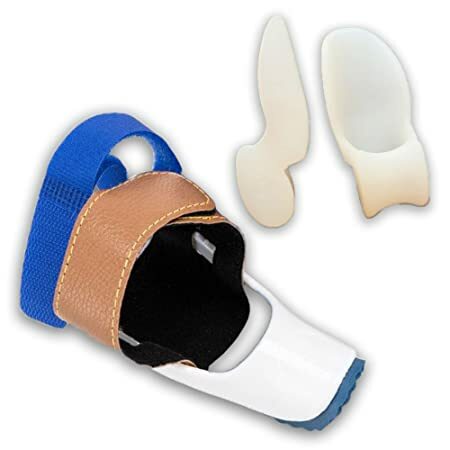 This bunion corrector is crafted with nylon plastic caps, PU foam, and nylon leather hook for a high-quality product. This bunion corrector is ideal from US shoe sizes 5-10 in men and 4-10.5 in women. With the item can bring great pain relief over time, The SJNDY is at a really reasonable price. 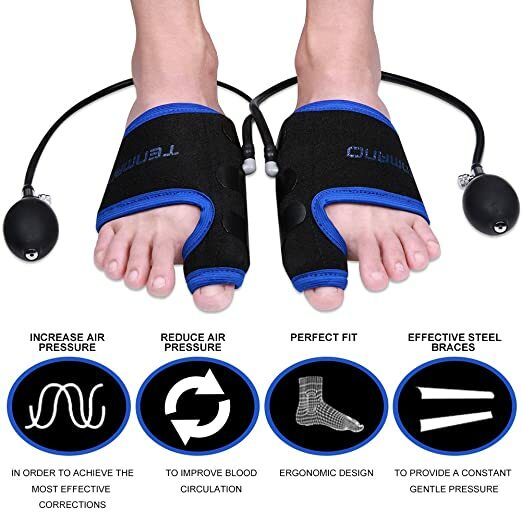 This bunion corrector is comfortable due to its crafting from soft and flexible materials that form to your feet rather than suffocating them. You can adjust the correctors using velcro bands, meaning that you can customize your feet from day to day, depending on your needs. 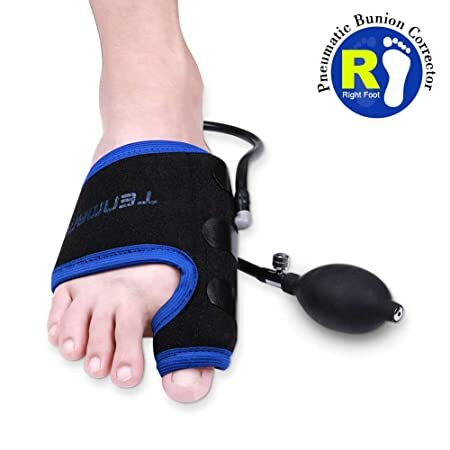 The FanProd Bunion Splint can provide effective relief from the pain and discomfort associated with bunions. 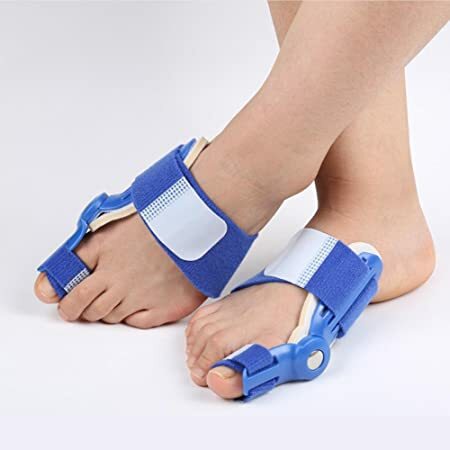 While wearing this splint, you will be able to sleep more comfortably as the corrector will work to relieve the bunion pain and over time, it will contribute to the restoration of your natural alignment. This bunion corrector is a reliable option for sports injuries, hammertoes, arthritis, calluses, and more. The FanProd Bunion Splint is at a reasonable price and comparable to its counterpart, the SJNDY Corrector. When it comes to comfort, this bunion corrector will not be irritating, as it includes comfortable padding to cushion your feet. 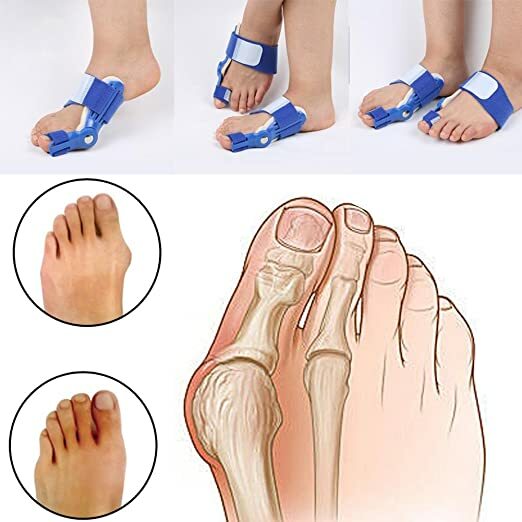 The FanProd Bunion Splint is one size fits all so both children and adults can fit. It is adjustable using strong velcro straps. The Conicare Orthopedic Bunion Corrector comes with all you need to help take the pain out of dealing with bunions. 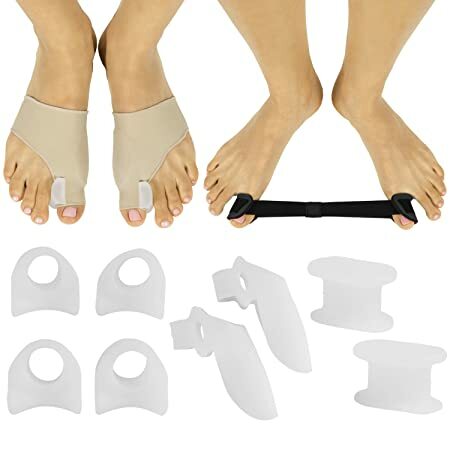 This Bunion Corrector kit includes a splint and silicone toe separators to make sure that your corrector works while you’re wearing it. 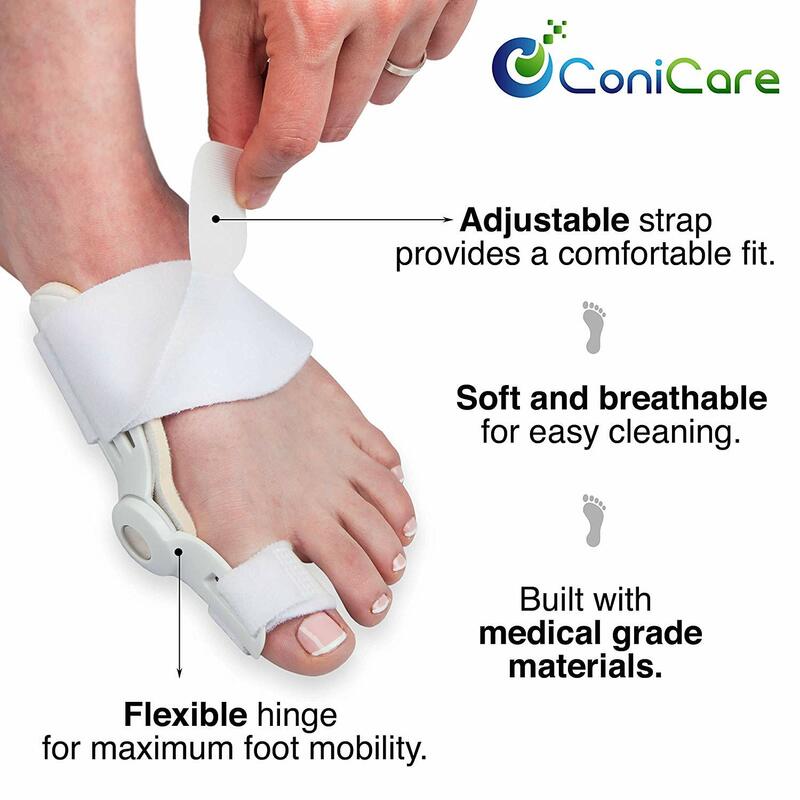 The Conicare Bunion Corrector is super versatile, as the user can wear it with or without socks. 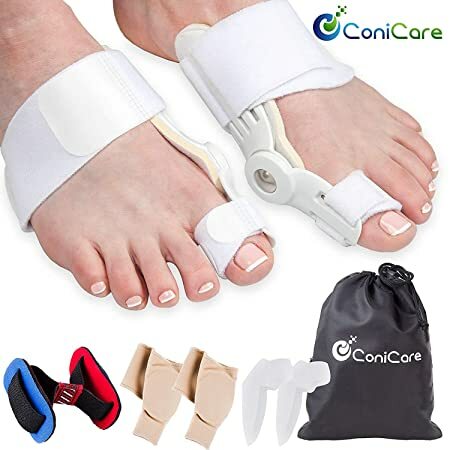 The Conicare Orthopedic Bunion Corrector is slightly more expensive than some of its competitors but still rings in at an affordable price. Made with light padding, these correctors can provide you with a comfortable experience. The durable velcro straps allow for optimal adjustability, making this bunion corrector one size fits most. The TENMAND Adjustable Bunion Corrector is another reliable option to help you tackle bunion pain and discomfort on a daily basis. This corrector uses the combination of a stint and air compression to provide optimal treatment. This is a corrector you can use actively by applying air pressure and passively while you sleep simply allowing the stint to do its job. The TENMAND Bunion Corrector is a bit more expensive than its counterparts, which is likely due to the element of air compression. If air compression is a must-have on your list, the TENMAND is a valuable investment. Made from soft, flexible fabric, these bunion correctors can wrap your feet comfortably without being too tight. You can use velcro straps to adjust the fit. 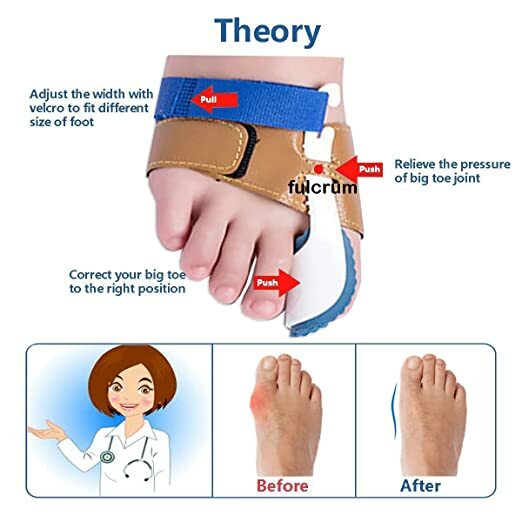 This bunion corrector will fit most adult feet. Bunions are painful and living with them day in and day out can be very uncomfortable. Rather than simply withstanding the pain, invest in a bunion corrector to help ease the discomfort for better sleep and work on restoring your alignment over time. While bunion correctors are not a solution to your bunions on their own, they are certainly a helpful tool in managing the condition. Gadgets Living is a participant in the Amazon Services LLC Associates Program, an affiliate advertising program designed to provide a means for sites to earn advertising fees by advertising and linking to Amazon.com. Additionally, Gadgets Living participates in various other affiliate programs, and we sometimes get a commission through purchases made through our links. Amazon and the Amazon logo are trademarks of Amazon.com, Inc., or its affiliates. Our mission is to find you the best gadgets. You can use Gadgets Living to stay updated with the latest product releases and hottest crowdfunding projects. We curate you discover. Copyright © 2018 Gadgets Living. Powed by Gadgets Living Inc.